Rachel started her career as a mixologist before moving to recruitment where she found her natural niche in the drinks industry with ForceBrands. Perfectly placed to understand the industry from both employee and employer perspective, Rachel shares with us her take on finding candidates with the right professional and cultural fit and the value of drinks qualifications. What are the key challenges in recruiting for the food and beverage industry? ForceBrands works in an industry that is constantly evolving and creating innovative trends, which makes things incredibly exciting and always very challenging. In 2010, when I first started working in the industry, the economic recession had forced many companies to downsize their teams so there were many talented candidates looking for new career opportunities. Today in the US, it's a candidate-driven job market, and similar to real estate where you see buyers outbidding each other on homes, candidates are receiving multiple offers that are the most competitive I've ever seen in my career. Additionally, unemployment rates are at an all-time low, so it’s become more difficult than ever to convince candidates to move from their relatively stable positions to other companies. The key to attracting the right talent, outside of compensation is having a strong employer brand, high retention rates, competitive brand positioning, and a powerful long-term business plan. Regardless of the market and how challenging it can be, the industry will continue to innovate in order to keep up with consumer trends and demands. ForceBrands, as ever, will adapt and evolve as the industry shifts and continue to identify incredible talent that builds amazing brands. How important are WSET certifications (or similar) to you when reviewing applications? At the surface level, WSET certifications or similar on applications are differentiators. Any type of certification as it relates to spirits, wine, or beer helps set apart highly educated candidates from those who only have professional experience. Any candidate who takes the initiative to become further educated in the space stands out in the talent pool. Any candidate who takes the initiative to become further educated in the space stands out in the talent pool. What inspired you to take the WSET Level 2 Wines and Spirits exam? I started my career working as a mixologist in sports bars and in high-end restaurants, so I had a solid foundation of knowledge in the spirits, wine, and beer space. When I saw ‘WSET certified’ on résumés of candidates, I was always curious to understand the training they went through and depth of knowledge they now had. After speaking to WSET, I understood how critical it was for me to go through the process of becoming certified. Having a WSET qualification allows me to be an effective resource for my clients. I now understand the depth of brands in a portfolio and can truly gauge what types of candidates, based on background, will be the best fit to grow the business. It's always been clear to me how the consumer thinks but understanding how winemakers and distillers think and operate paints the full picture. As the Director of Sales for our Beverage Alcohol division, I'm able to provide consultative advice by understanding how a brand is created, how it gets to the consumer, and why consumers decide to purchase the product. The education I've received from the WSET classes has helped me to understand the global wine and spirits environment, production process, and a brand's quality, which ultimately determines whether a brand will be successful. As a professional trainer yourself, how did you find the WSET’s approach to education? 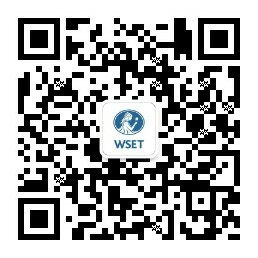 The WSET educators are great. They’re highly educated and well-travelled, which you need to be in order to describe the wine regions and the history behind them. I'm an experiential learner so the structure of each class with the added tasting component was impactful to me. You are also a certified mixologist trainer – do you ever find time in your busy schedule to use this skill? I love seeing consumers’ eyes light up when they experience a great cocktail, so I'll always find the time to mix cocktails for friends, family, and colleagues.